(above) Stephen Drown was promoted to Lieutenant On November 26, 2018. 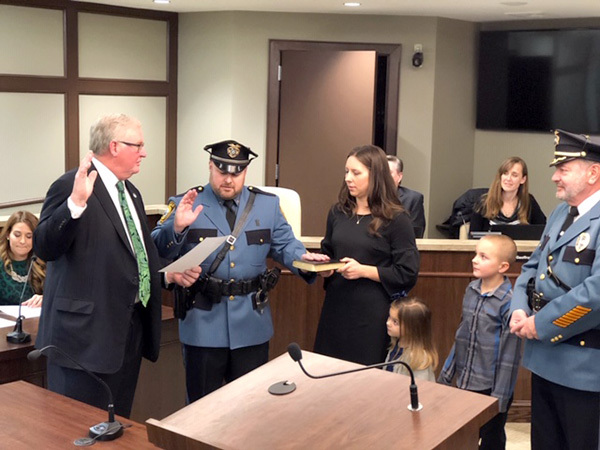 Lt. Drown started his career with the New Providence Police Department in 2002 and has served the department as a Patrolman, Corporal, Detective, Patrol Sergeant and as a Traffic Sergeant. He also has served as a crash investigator on the department’s crash investigation team, field training officer, certified child seat technician and is an instructor for the department and the Union County Police Academy. He also has numerous awards including 8 lifesaving awards.